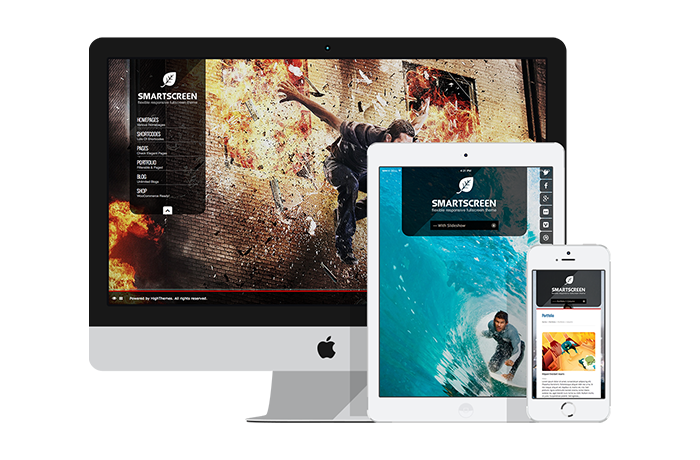 SmartScreen is a fullscreen responsive WordPress theme which offers CMS functionality to your website. It comes with a lot of features to help you build your portfolio, photography, online shop, or your company website. 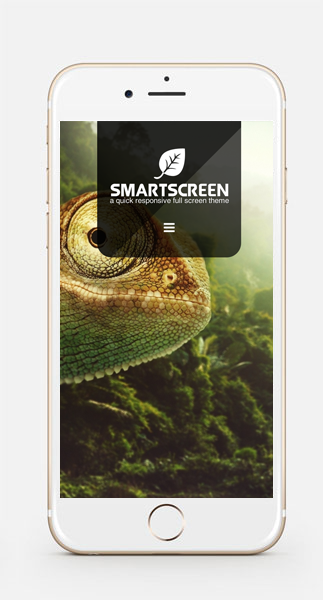 Over 2,000 users have used SmartScreen to build their websites and the theme has got 4.64/5 based on 218 real user ratings. You can upload your own custom video and use it as a video background. 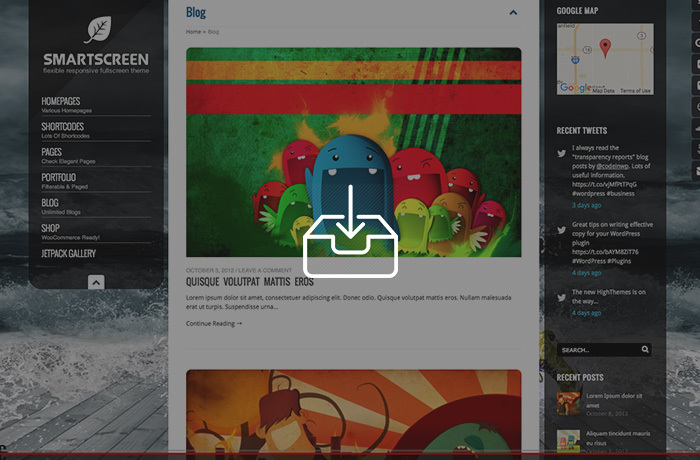 You have the option to user video background to your desired page or post. 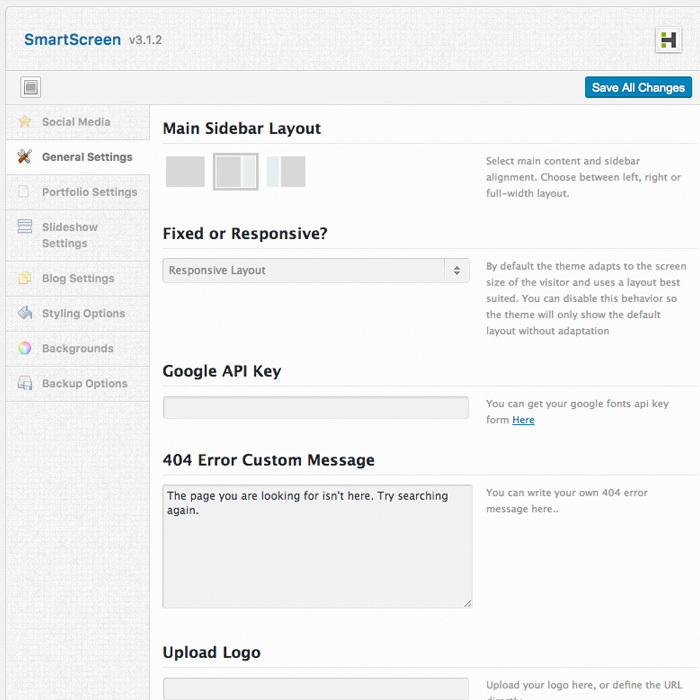 The powerful fullscreen slideshow of SmartScreen allows you categorize your sliders and use your chosen one in your posts, pages, and products. You can set a unique slideshow for each page. Also, you can enable playing a sound in the background for the home page or all pages. You can almost control everything with the theme admin panel. It’s very easy to use and comes in an organized interface. Changing overall layout, using custom fonts, controlling slideshow, and so many other options. The theme comes with two portfolio options: filterable & classic. 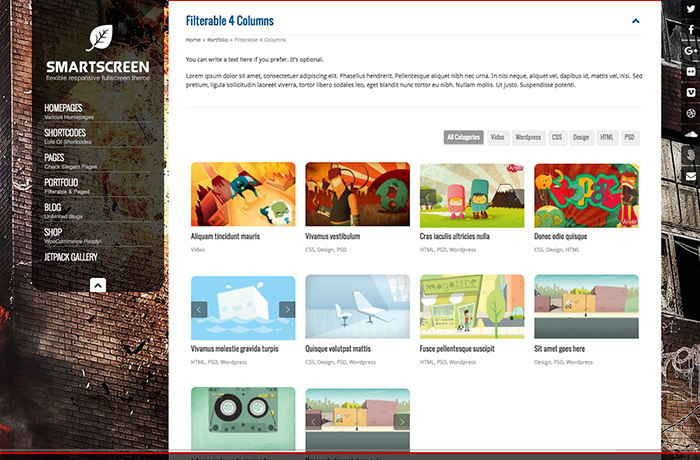 You can make as many portfolio gallery pages as you like and choose from 1,2,3, or 4 columns templates. The theme has been tested with WPML.org multi-language WordPress plugin and listed on the website as a compatible theme. 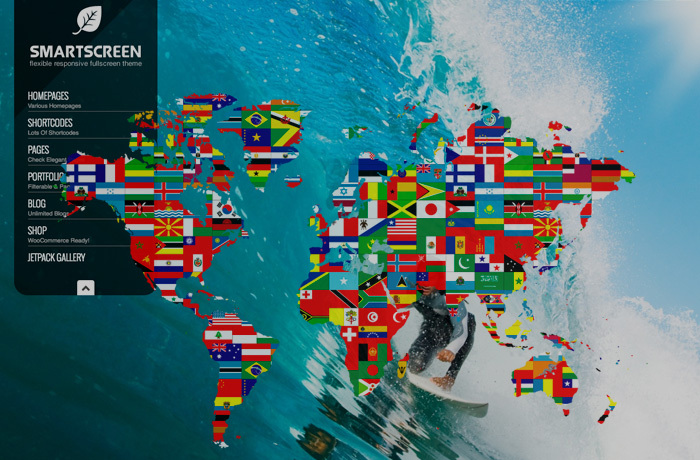 Feel free to start a multi-lingual website using SmartScreen. 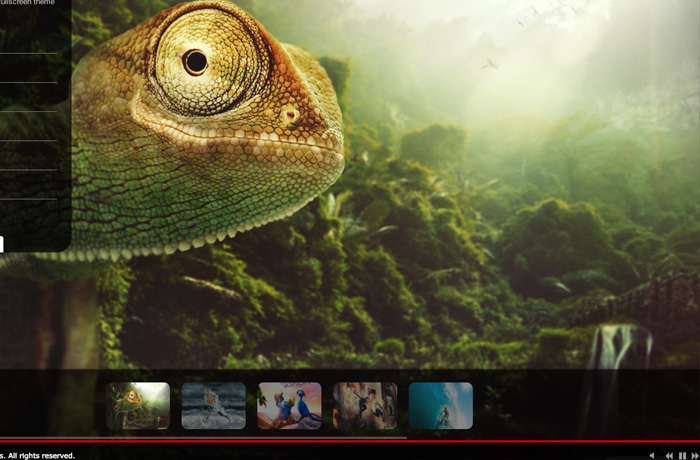 Change the overall color of the theme and change the opacity of menu, content area, sidebar, and slideshow caption easily using visual options. 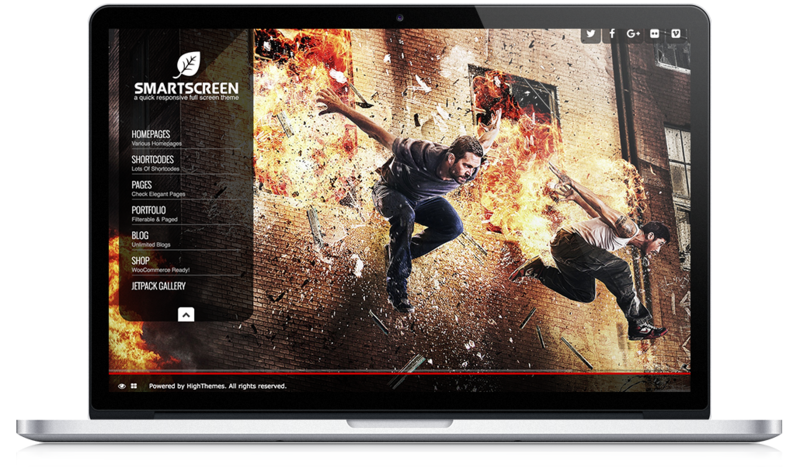 Using SmartScreen, you have an online store ready to use. 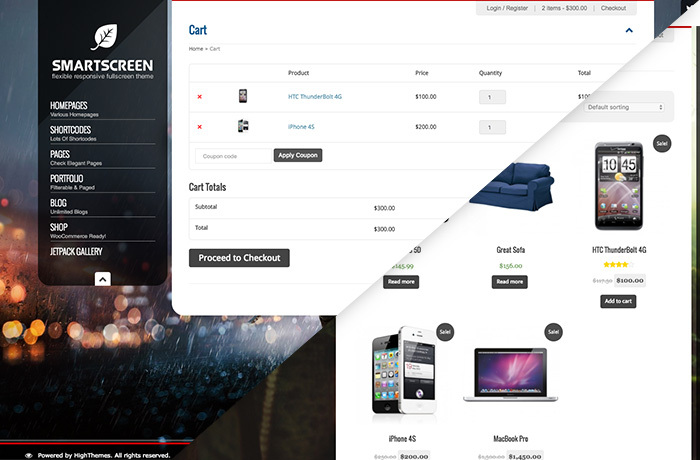 With SmartScreen Woocommerce support, you can start selling online right away. 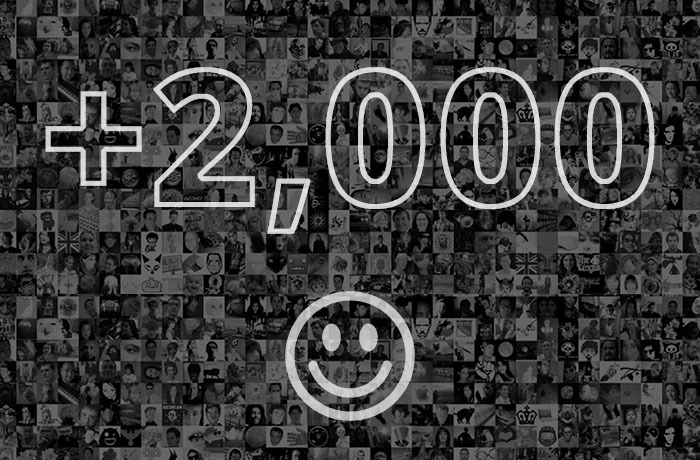 Many users are currently selling their photos or products using SmartScreen. Your store design is similar to other parts of your website as the theme reskinned Woocommerce templates to look as beautiful as other pages. 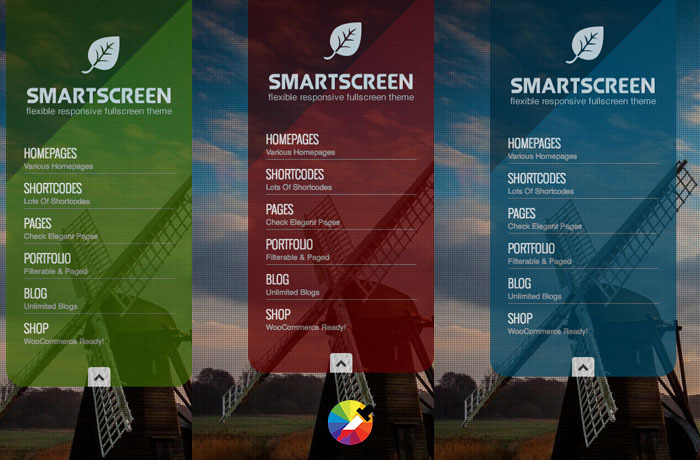 SmartScreen has a lot of shortcodes such as google map, accordion, tab, call-to-action, … which can be used multiple times on any page you like. All pages including blog index, posts page, and shop pages can have left or right sidebar. You can also disable the sidebar if you like. 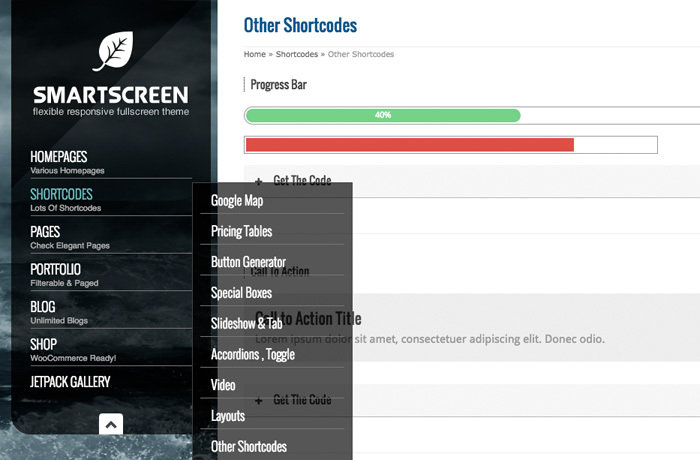 It’s also possible to define custom sidebars for each page with different widgets.